When opening a new Florida probate estate, the court may require the personal representative to obtain a bond. The purpose of this bond is to guarantee the personal representative actually performs his or her duties in good faith. In the event the personal representative’s misconduct or negligence results in a loss to the estate, the company that issued the bond–which is known as a surety company–will compensate the estate. Of course, the surety company typically protects itself by including an indemnification clause in the bond. And by “indemnification,” we mean the surety company reserves the right to turn around and sue the personal representative for the money it paid out to the estate. And depending on the type of estate and the degree of misconduct involved, that can leave the personal representative on the hook for a lot of money. A recent decision by the U.S. 11th Circuit Court of Appeals, Western Surety Company v. Steuerwald, offers a cautionary tale. This is a federal lawsuit arising out of the administration of a Florida probate estate. In 2009, the defendant in this case was named personal representative of his brother’s estate. The deceased brother was a Florida resident. The personal representative lived in New York. To secure his appointment, the personal representative took out a $1 million probate bond issued by a surety company, which is the plaintiff here. The bond contained an indemnification clause. Among other things, this clause required the personal representative “to post collateral sufficient to satisfy” any claims made against the bond. Approximately three years later, in 2012, the Florida probate court removed the personal representative from his position. 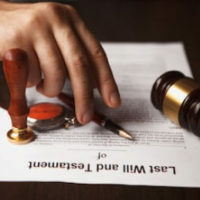 The court determined the now-former personal representative committed various acts of “misconduct.” The estate then demanded compensation from the surety company. The surety company eventually paid out more than $970,000. The surety company then sued the ex-personal representative under the indemnification clause of the bond to recover approximately $772,000. The surety company also noted the defendant failed to post collateral as required by the bond. In response, the defendant filed a cross-claim against the surety company. Ultimately, the ex-personal representative did not have a leg to stand on. A federal judge dismissed his cross-claim and granted summary judgment to the surety company on its demand for repayment. The 11th Circuit affirmed the trial court. With respect to the cross-claim, the appeals court said the defendant did little more than “assert that the [Florida] probate court judge and local attorneys had engaged in a conspiracy to defraud out-of-state beneficiaries of the estate.” (It should be noted the defendant represented himself without an attorney.) As for the bond itself, the 11th Circuit said the “undisputed facts established” there was a valid contract between the defendant and the surety company, and the defendant simply failed to live up to his end of the bargain. Managing an estate is a major responsibility. If you are in the position of serving as a personal representative, it is critical to seek out competent legal advice from the outset. If you need assistance from a qualified Fort Myers estate and probate administration lawyer, contact the Kuhn Law Firm, P.A., at 239-333-4529 today.